JD really loves dinosaurs, then again what 2 year old boy doesn't! 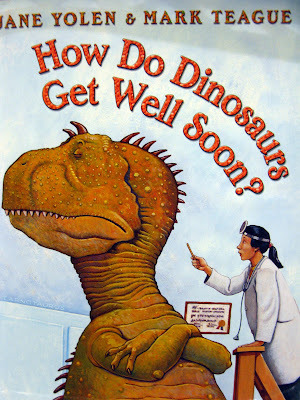 JD loves visiting the Natural History Museum to see dinos, playing with all his dinosaur toys and he absolutely loves dinosaur books. 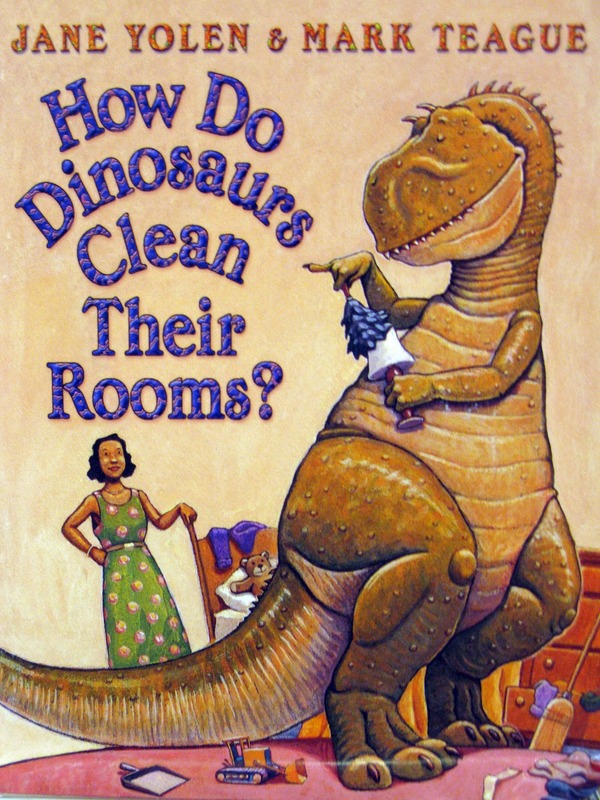 I recently came across this cute dino book called How Do Dinosaurs Clean Their Rooms? 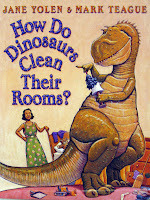 by Jane Yolen and illustrated by Mark Teague. 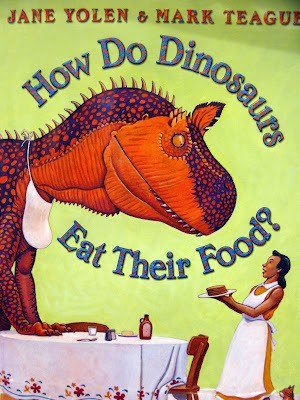 This book is so funny, while also being educational and JD makes me read it over and over again. 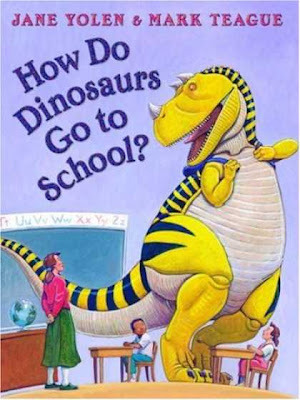 What I didn't know is that this book is actually just one in a series. Here are a few more in the series that I may need to add to JD's collection! 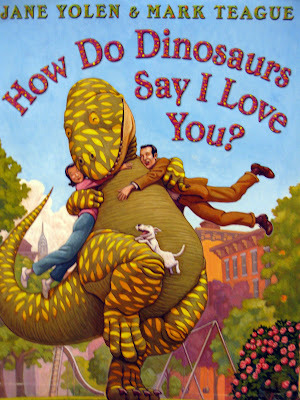 We have "How Do Dinosaurs Say Goodnight" and "How Do Dinosaurs Say I Love You" They are wonderful books! !